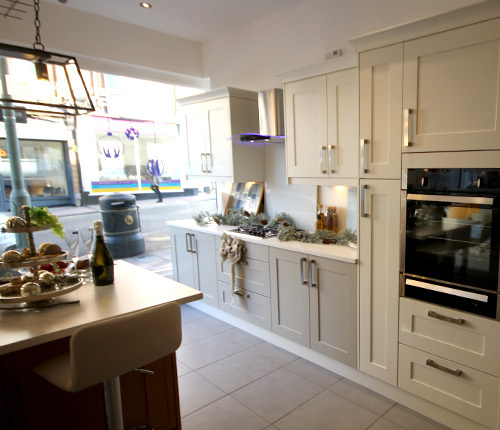 "Professional kitchen design and installation"
Deciding on a colour scheme for your kitchen may begin with ceilings, walls, flooring or an overall idea from magazines, brochures or kitchen showrooms. It would be important to take into account within your plans the age and style of your home, the furniture and the style of living. Many older homes have plenty of space and are moving toward a much more open plan form of living and dining where the kitchen is a central part of living. Heights of work surface and the people who are most likely to be using them. Design Style: Modern, Country or Traditional. 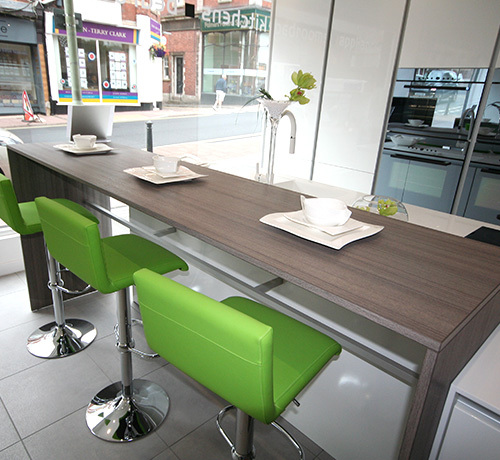 Laminate – Some laminates now can be stunning, hard wearing and inexpensive. Wood gives a warmer feel and will contrast materials differently with alternative door materials. A modern kitchen might suit granite composite.